Maithripala Sirisena, during a trip to India earlier this year. Is the Obama administration too eager to embrace Sri Lanka’s new government? Tom Malinowski, the U.S. Assistant Secretary of State for Democracy, Human Rights and Labor (DRL), recently travelled to Sri Lanka. From the looks of it, he had a productive, busy visit. Malinowski even managed to visit the place in Mullaitivu district, where Sri Lanka’s civil war ended and alleged violations of international human rights and humanitarian law (on a massive scale), including war crimes, took place in 2009. Based on some of the quotes he provided to journalists during his trip, Malinowski is extremely upbeat about how things have been going. To be fair, the op-ed he placed in a leading Sri Lankan newspaper was still optimistic, though perhaps less exuberant than some of his public comments. The Obama administration is undoubtedly delighted that the increasingly authoritarian Mahinda Rajapaksa was thrown out of office in early January. And, since U.S.-Sri Lanka relations had turned quite sour under Rajapaksa’s watch, Washington clearly wants things to be different this time. 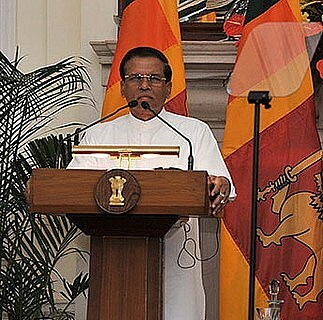 Malinowski’s recent statements are in line with what other senior American officials have said about Sri Lanka’s recent transfer of power. As Malinowski suggested, it appears that the Obama administration still has not decided precisely how much the bilateral relationship will evolve, particularly on controversial issues like human rights and ‘accountability’ for alleged wartime abuses. A degree of patience may be warranted, although the reform program of newly elected Maithripala Sirisena has not been going that well. On the other hand, parliament’s passage (this week) of the 19th amendment to the constitution (which trims presidential powers and establishes various independent commissions) is a significant accomplishment and has opened the door to even greater optimism regarding a reform program that had been floundering. Indeed, it’s likely that the Obama administration will stay upbeat for at least the next several months and continue to decrease diplomatic pressure on the new government. Sirisena is expected to dissolve parliament soon and parliamentary elections could come as early as June. Once the official electoral campaign begins, Washington would seek to avoid any perceptions of interference, aside from encouraging the government to hold peaceful, transparent elections. Having ended a brutal civil war in 2009, Sri Lanka has come under intense pressure over the past several years over accountability for alleged war crimes and ongoing human rights violations post-war. For better or worse, the Obama administration has taken the lead in ensuring that Sri Lanka’s human rights and accountability issues stay on the international community’s radar. Just because there’s been a changing of the guard does not necessarily mean that should change. Yet now, with less than two years left in office, would Obama really be interested in keeping the pressure on Sri Lanka? Secretary of State John Kerry will visit the island nation this Saturday. Another high-profile visit of this nature could be viewed principally as an endorsement of Rajapaksa’s electoral defeat and an embrace of the new government. Let’s keep in mind that the passage of the 19th amendment (undoubtedly the new government’s most significant accomplishment to date) was never a foregone conclusion and that Kerry had confirmed his visit before that had happened. Aside from the readouts, observers are likely to pay particular attention to the optics of Kerry’s visit, especially since early indications suggest that he will not travel to the war-torn Northern Province. Malinowski just visited. And now Kerry will be arriving imminently. Is another high-profile visit really warranted at this time? While one could argue that the legislation does not go far enough, passing the 19th amendment was a big win for Sirisena and Sri Lanka’s democracy; this development could augur more positive change in the coming months. Yet, if backsliding does occur, that may not matter much to the Obama administration. For now, it looks like regime change in Colombo means that Washington’s overzealous approach is the new normal in US-Sri Lanka relations.